Studies have shown that holding or petting an animal will lower blood pressure, release strain and tension and draw a person out of loneliness and depression. 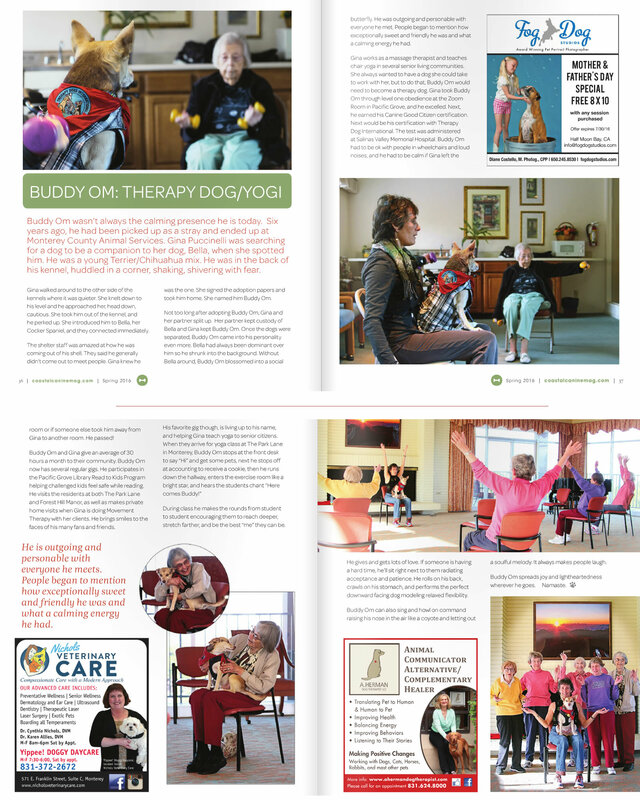 * Click here to see Buddy Om featured in Coastal Canine Magazine, Spring 2016! 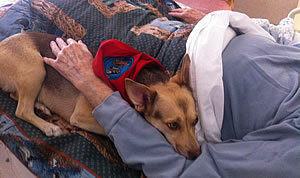 Therapy Dog International certifies, insures, and registers volunteer Therapy Dogs. Buddy Om provides "Unconditional LOVE" as a Registered Therapy Dog with TDI. 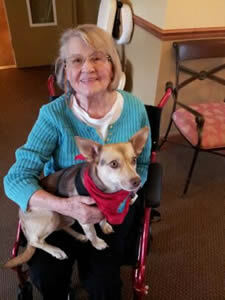 He accompanies me to Senior Living Communities, Skilled Nursing Facilities and Hospitals to take time to paws for a short time and give unselfish love. Buddy Om and I give a minimum of 30 hours of service a month and feel blessed to contribute to our community. 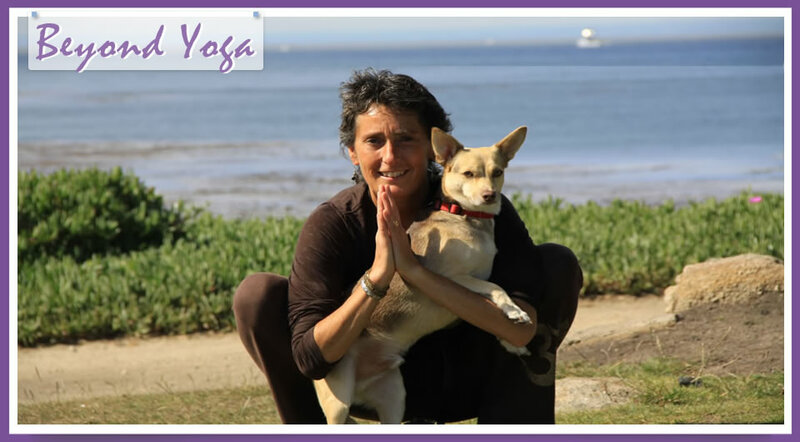 home :: yoga :: massage :: celebration of life parties :: therapy dog :: retreats, etc.